Saute, roast, bake. Great substitution for Chanterelles and can be used in the same manner. To clean mushrooms, use a clean, damp towel, and gently brush away the dirt and stems. Do not store mushrooms in a sealed plastic bag or plastic wrap, they will sweat and rot quickly. Hedgehog mushrooms will last several days in the refrigerator if kept in a well circulated area. 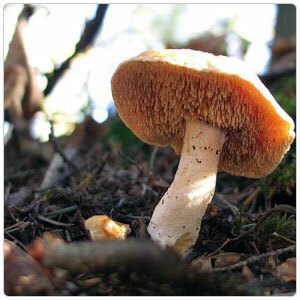 Closely related to a Golden Chanterelle, Hedgehog mushrooms are similar to Chanterelles in appearance, taste and smell. The distinct difference is that Hedgehog mushrooms are covered in spines or "teeth", on their underside, resembling a Hedgehog.